Insideout10 has developed an online tool to validate and test the annotations produced by MICO with the face detection extractor (TE-204). 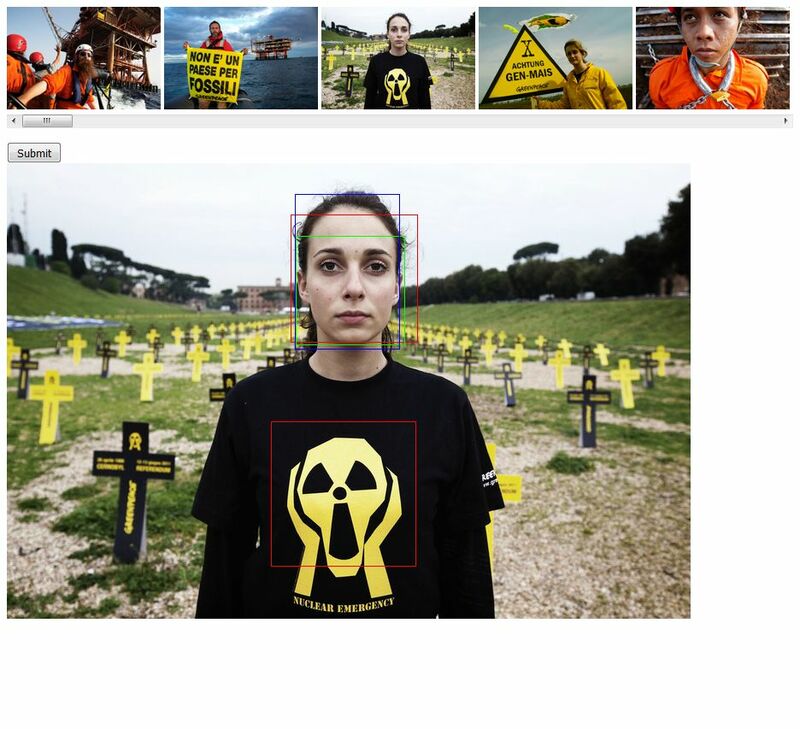 In this demo the annotations for face detection (in-front and side) provided by MICO (in green) can be compared with the annotations provided by BetaFaceAPI (in red), and the annotations manually generated (ground data). BetaFaceAPI is a commercial service provider that has been used to benchmark MICO’s results. The tool has been made also available as open source with MIT license on Github (https://github.com/insideout10/facedetection) and will be used in the next evaluations.